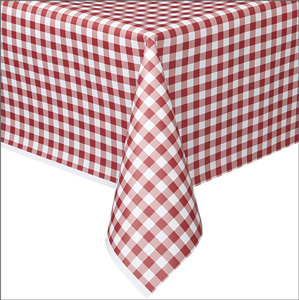 A large (1.37m x 2.74m), rectangular, red gingham plastic tablecloth / tablecover that would be ideal for adding a touch of authenticity to French café role-play situations. 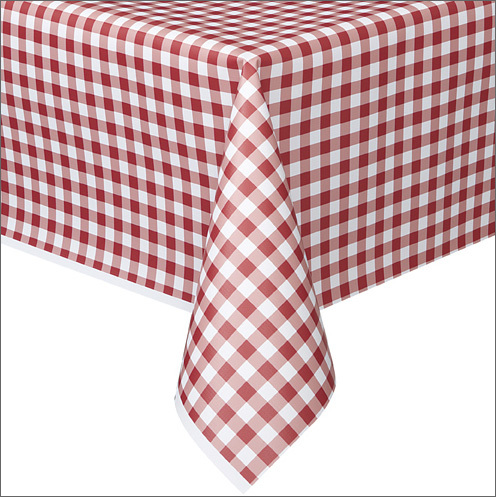 The tablecover is moisture resistant, durable and colourfast and is designed for occasional use. I used two of these for our French breakfast and end of term picnic . They cover 6 long tables sideways on and add a lovely french feel to the classroom. They clean up well after use.